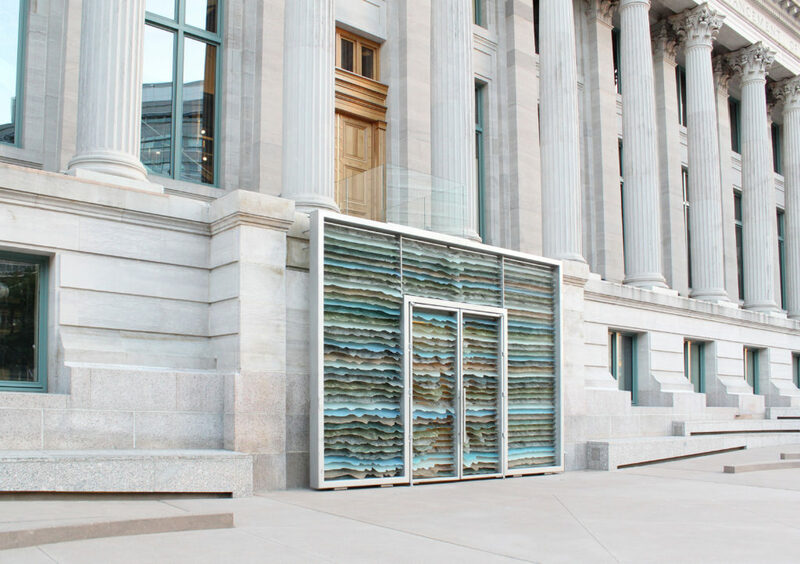 Public art installation at McNichols Civic Center Building, Denver, CO.
“Mine Craft”, is inspired by the geography, industry and global presence of the state of Colorado. 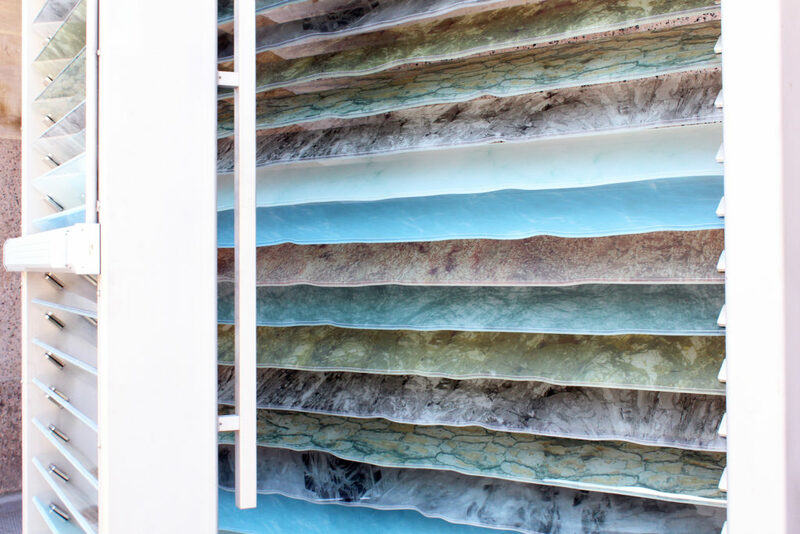 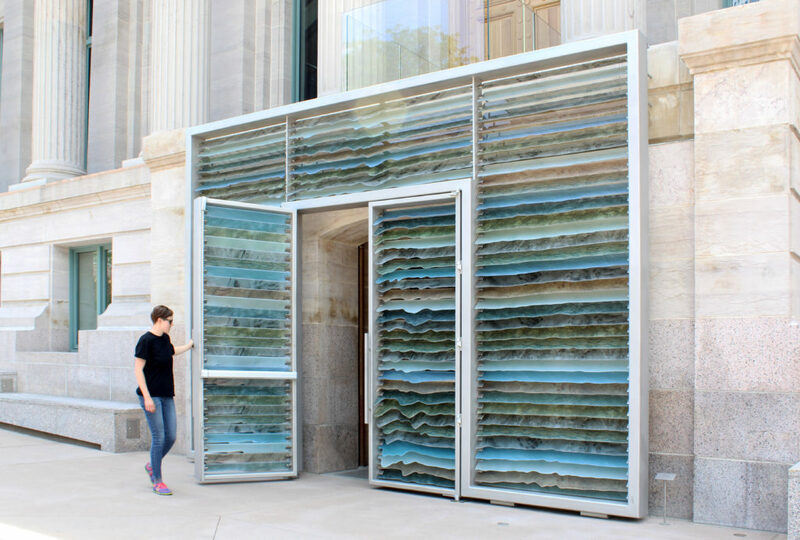 It uses the topography of the state, cut from a variety of materials embedded with significance to the region, and stacks them in order to create an abstracted scale map of Colorado. 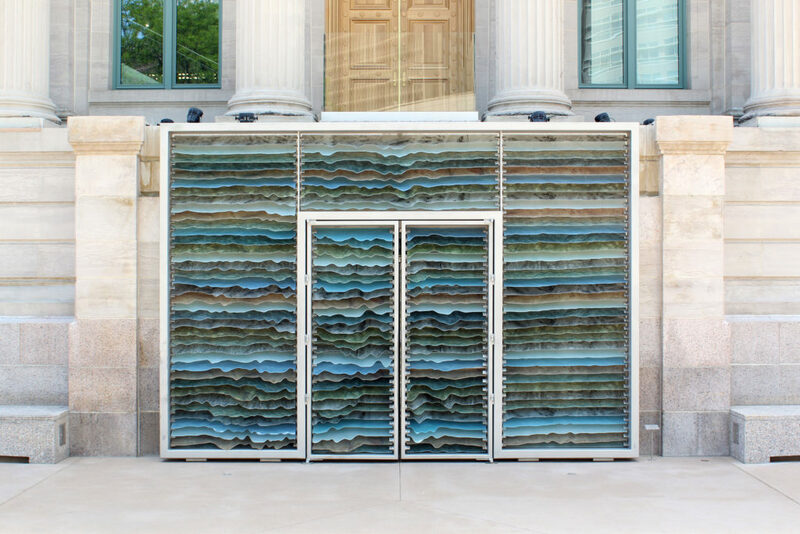 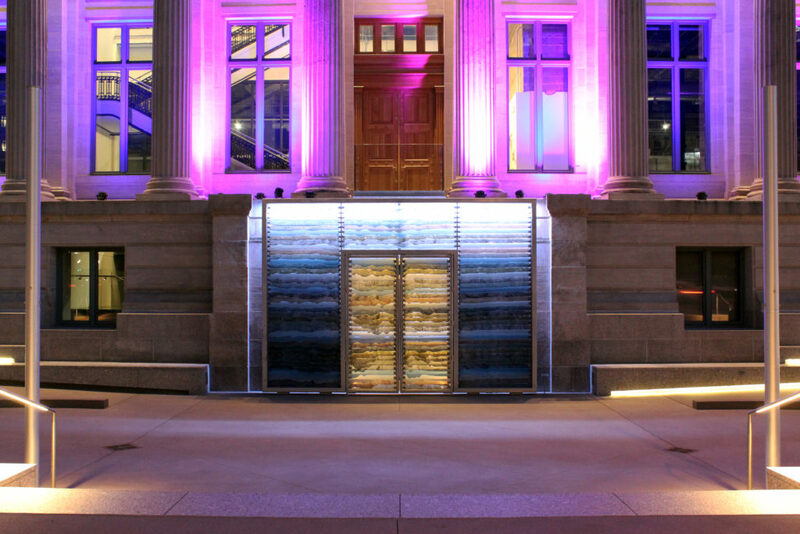 The striations seen in the doors are intended to represent materials that are locally sourced. 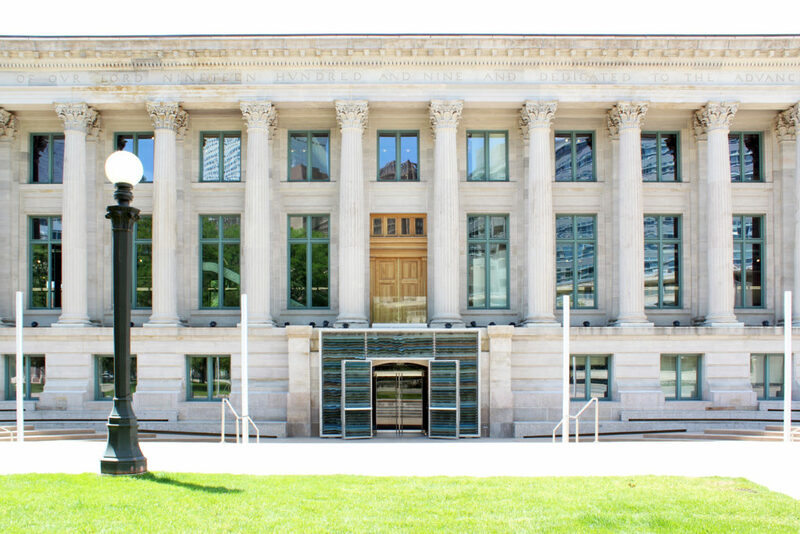 The overall design is tactile and nuanced – distinctly modern, both in its formal representation and materiality – and sits in subtle contrast to the neoclassical architecture of the McNichols Building. 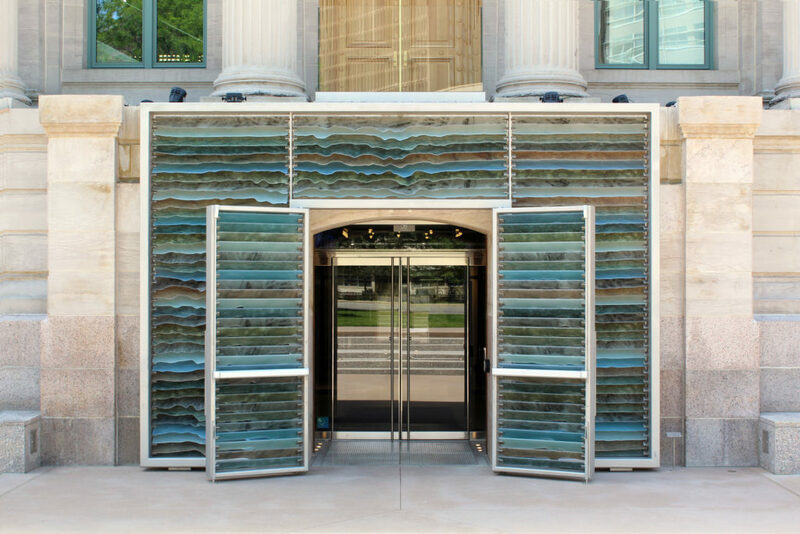 Mine Craft acts as an invitation to entice visitors into the building to explore its contemporary art exhibitions. 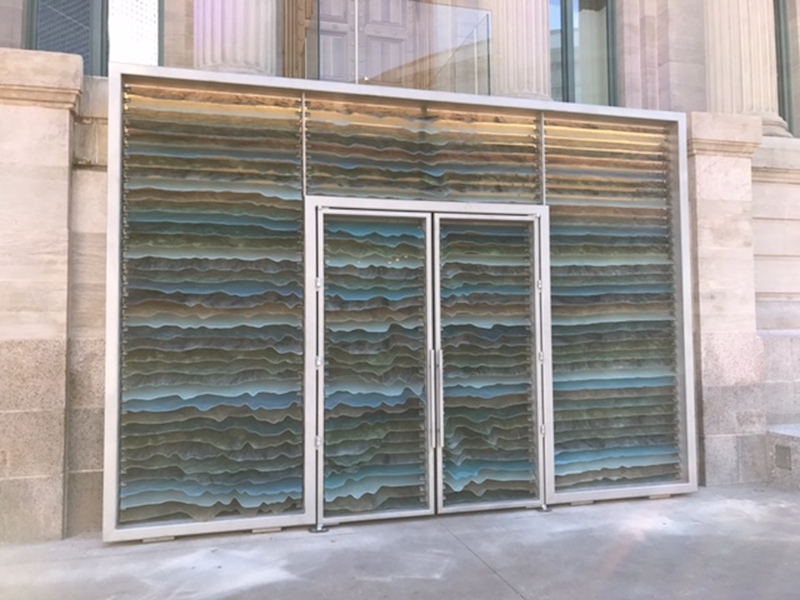 While the initial intention was to use actual stone and metal materials, the choice of glass was made to keep the louvers transparent and allowing for backlighting at night. 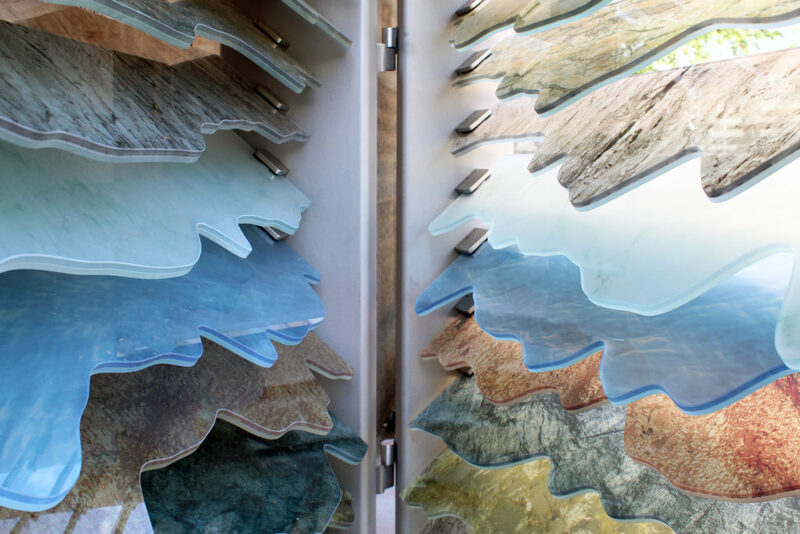 It also offers a more uniform, elegant, pure and direct appearance, while retaining the representative characteristics of Colorado’s native mined materials.